You will find us on Red Lion Parade, in between Hallmark Cards, and Q Natural Healthcare, and opposite Barclays Bank. Nearest car parks are: Waxwell Lane Car Park, Love Lane Car Park, and the Sainsbury's Car Park. Many people park in the Love Lane Car Park, exit the car park onto Love Lane and turn left, walking down Love Lane towards the roundabout with Bridge Street, passing Cafe Nero on the left. Grant and Glass is a little further on the left by the bus stops, opposite Barclays Bank. Call us today on 0800 1 337 987 to book your microsuction ear wax removal appointment in Pinner, and say goodbye to ear wax! 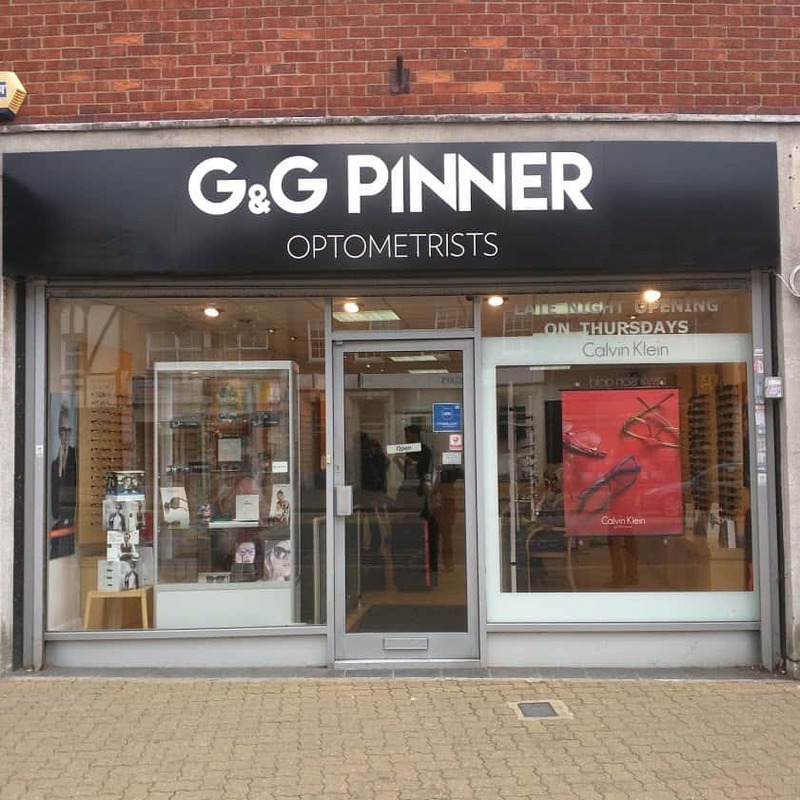 Our ear wax removal clinic in Pinner also serves clients in London, Stanmore, Ruislip, Northwood, Moor Park, Hatch End, Harrow, Wembley, Northolt, Harefield, Heronsgate, West Hyde, Maple Cross, Gerrards Cross, Denham, Ickenham, Bushey, Rickmansworth, Chorleywood, Croxley Green, Edgware, Hendon and Watford. We also perform ear wax removal in your home, care home or nursing home. If you cannot come to us, we will come to you. Due to the additional time and travel costs, the price is higher than a clinic appointment. For multiple patients at the same address, we offer a sliding scale discount as less travelling is involved. Please book well in advance. You will find us between TD Hair Designers and SACH Hair Salon and opposite Haven Estate Agents and Co-Op Funerals. 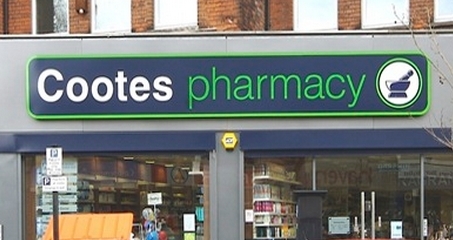 The pharmacy is about 5 minutes brisk walk from East Finchley Library. Our clinic is one of two comfortable consulting rooms located on the ground floor at the back of the pharmacy. London N2 Ear Wax Removal Clinic in Finchley North London on Google Maps. Directions to London N2 Ear Wax Removal Clinic in Finchley North London. In North London NW7, we have our Mill Hill Microsuction Ear Wax Removal Clinic In North West London NW7. In North London NW11, we have our Golders Green Microsuction Ear Wax Removal Clinic in North London NW11. There is usually pay by phone on-street parking available outside for up to one and a half hours. There is free parking nearby on the opposite side of the road, except between 2-3pm, or more free parking is available approximately 5 minutes' brisk walk away near East Finchley Library, except between 9-10am. Book your London N2 microsuction ear wax removal appointment today, and say goodbye to the discomfort of ear wax. Our microsuction ear wax removal clinic in East Finchley also serves clients in London Finchley Central, North London, North Finchley, Barnet, Golders Green, Hendon, Highgate, Hampstead, Northwest London, Hampstead Garden Suburb, Haringay, Enfield and Holloway. Many people in North London are finding that their local GP surgery no longer offers ear syringing. No doubt this is partly due to a lack of funding, but also because ear syringing is inherently less safe than ear micro suction. Possible side effects of ear syringing or irrigation are ear infection, hearing loss, tinnitus, perforation of the ear drum, and further impaction of the ear wax (i.e. the ear wax gets pushed even harder against the ear drum). Is it any wonder that people are going off walk in ear syringing in London and are seeking out microsuction ear wax removal instead? Unfortunately, the sharp rise in demand has meant that NHS micro suction clinics are now unable to meet the need and waiting times are often over two to three months. You no longer need to wait months for micro suction. Why not jump the queue by going private? Simply head to our booking page and you could be saying goodbye to your wax blockage this week! In Central London, we have our ear wax removal clinic in London NW1, Baker Street covering Harley Street, Marylebone, Fitzrovia, Lisson Grove, Paddington, Bayswater, Holland Park, Notting Hill, Olympia, Shepherds Bush, Earls Court, Kensington, Chelsea, Battersea, Fulham, Chiswick, Sloane Square, Saint Pancras, Islington, Barnsbury, Victoria, Pimlico, Westminster, St James's, Hammersmith, South Hampstead, Mayfair, Covent Garden, Hyde Park, Clerkenwell, Regent's Park, King's Cross, Camden, Kentish Town, and Belsize Park. This clinic offers same day ear wax removal, as well as Saturday ear wax removal. In North London we have our new clinic providing ear wax removal in Barnet, London EN5 - this clinic also covers North London, Arkley, Borehamwood, Edgware, Totteridge, Whetstone, Osidge, Mill Hill, Potters Bar, South Mimms, Southgate, Oakwood, Winchmore Hill, Enfield, Hadley Wood, Cockfosters, Finchley, Dancers Hill, Ponders End, Southgate, High Barnet, Chipping Barnet, East Barnet, and South Barnet. Also in North London we have our microsuction ear wax removal clinic in London NW11, Golders Green - this clinic covers Hendon, Finchley, Highgate, Hampstead Garden Suburb, Cricklewood, Mill Hill, Edgware, Hamptstead, Dollis Hill, Whetstone, Brent Cross, West Hampstead, Woodside Park, Crouch End, Finsbury Park, Arnos Grove, Palmers Green, Harrow, Tuffnell Park, Fortune Green, Gospel Oak, Wood Green, Harringay, Stanmore, Wembley and Barnet. Our established North London microsuction ear wax removal clinic in East Finchley, London - this clinic covers the surrounding areas, such as N2, Barnet, Southgate, Hamsptead, Highgate, Finsbury Park, Enfield, Holloway, Muswell Hill, Palmers Green, Hornsey, Harringay, Oakwood and Cockfosters. Bordering North London and North West London we have our microsuction ear wax removal clinic in London NW7, Edgware - this clinic covers Mill Hill, Edgware, Stanmore, Barnet, Colindale, Burnt Oak, Finchley, Bushey, Hampstead Garden Suburb, Watford, Harrow, and Wembley. 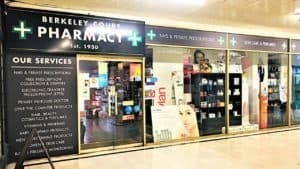 Covering North East London, we have our ear wax removal clinic in Enfield, London EN1 - this clinic also covers the surrounding areas, such as Winchmore Hill, North London, Palmers Green, Bounds Green, Wood Gree, Alexandra Palace, Turnpike Lane, Bush Hill Park, Southbury, Freezy Water, Chase Side, Gordon Hill, Botany Bay, Worlds End, Oakwood, Winchmore Hill, Barnet, Ponders End, Southgate, Waltham Cross, Waltham Abbey, Cockfosters, Arnos Grove, Potters Bar, Cuffley, Cheshunt, Chingford, Loughton, Buckhurst Hill, Woodford, Chigwell, Walthamstow, Wood Green, Harringay, Goff's Oak, and Northaw. Covering outer North West London, we have our ear wax removal clinic in London HA5, Pinner - this clinic covers the surrounding areas, such as HA5, Northwood, Rickmansworth, Chorleywood, Stanmore, Harrow Weald, Hatch End, Harrow on the Hill, Wembley, Edgware, Elstree, Borehamwood, Watford and Bushey. Bordering North London and North West London we have our ear wax removal clinic in London NW7, Mill Hill - this clinic covers Mill Hill, Edgware, Stanmore, Barnet, Colindale, Burnt Oak, Finchley, Bushey, Hampstead Garden Suburb, Watford, Harrow, and Wembley. In West London, W5, we have our private microsuction ear wax removal clinic in London W5 - Ealing - this clinic covers the surrounding areas, such as Ealing, Chiswick, Acton, Hammersmith, Richmond, Northolt, Putney, Battersea, Uxbridge, Hanwell, Brentford, Hayes, Kensington, Greenford, Wembley, Park Royal, White City, Olympia, Hounslow, Osterley, Twickenham, Earlsfield, Feltham, Southall, West Drayton, Fulham, Isleworth, Heston, and Perivale. To find out more about any of the clinics, including directions, parking and prices, please click on the links above. We are planning to open more micro suction clinics in London during 2018 and 2019. Areas in London will include Putney in South West London and Blackheath in South East London. Earlier this year we opened a clinic providing ear wax removal in Watford WD3, just inside the M25. If you are an independent Pharmacist or Optician and would like to offer a microsuction and hearing centre at your location, please contact us about our partnership offering. Our prices (see below) are the lowest in Central London! You will find us on Melcombe Street in between Baker Street and Marylebone Stations. There is also an entrance via Berkeley Arcade, which is on Baker Street opposite the Baker Street station entrance and to the left of Pret A Manger. Nearest car parks are: Waxwell Lane Car Park, Love Lane Car Park, and the Sainsbury's Car Park. Most people park in the Love Lane Car Park, exit the car park onto Love Lane and turn left, walking down Love Lane towards the roundabout with Bridge Street, passing Cafe Nero on the left. G & G Optometrists is a little further on the left by the bus stops, opposite Barclays Bank. Call us today on 0800 1 337 987 to book your ear wax removal appointment in Pinner, and say goodbye to your ear wax! Our private ear wax removal clinic in Pinner also serves clients in Stanmore, Ruislip, Northwood, Moor Park, Hatch End, Harrow, Wembley, Northolt, Harefield, Heronsgate, West Hyde, Maple Cross, Gerrards Cross, Denham, Ickenham, Bushey, Rickmansworth, Chorleywood, Croxley Green, Edgware, Hendon and Watford. 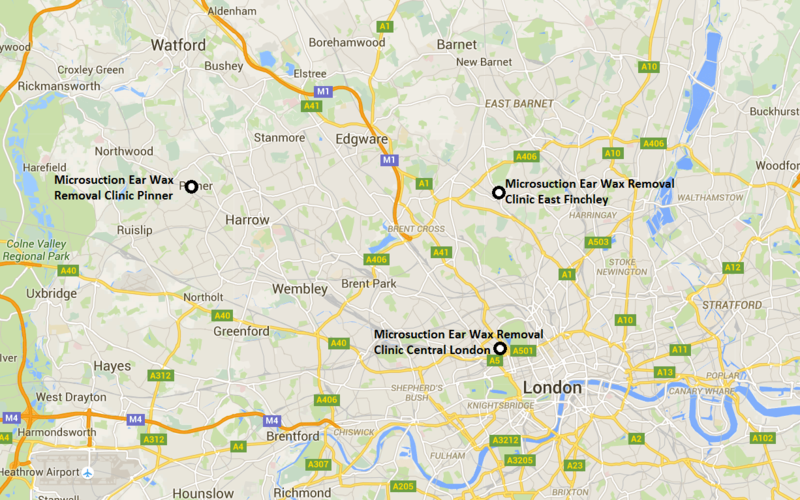 East Finchley Private Ear Wax Removal Clinic in North London on Google Maps. Directions to East Finchley Private Ear Wax Removal Clinic in North London. Book your microsuction ear wax removal appointment today, and say goodbye to the discomfort of ear wax. Our microsuction ear wax removal clinic in East Finchley also serves clients in Finchley Central, North London, North Finchley, Barnet, Golders Green, Hendon, Highgate, Hampstead, Northwest London, Hampstead Garden Suburb, Haringay, Enfield and Holloway. Our ear wax removal clinic in Pinner also serves clients in London, Stanmore, North West London, Ruislip, Northwood, Moor Park, Hatch End, Harrow, Wembley, Northolt, Harefield, Heronsgate, West Hyde, Maple Cross, Gerrards Cross, Denham, Ickenham, Bushey, Rickmansworth, Chorleywood, Croxley Green, Edgware, Hendon and Watford. Map of Ear Wax Removal Micro Suction Clinic Locations. Book An East Finchley Ear Wax Removal Appointment Today! Call To Book An Ear Wax Removal Appointment Today! Ear Candling - Effective Panacea or Dangerous Gimmick? Get A Hertfordshire Ear Cleaning Appointment Today! Get A Hertfordshire Ear Wax Microsuction Appointment Today! Get A London Ear Wax Removal Appointment Today! Get A Micro Suction Ear Clinic Appointment Today! Get A Microsuction Central London Appointment Today! Get A Microsuction Ealing Appointment Today! Get A Microsuction London Saturday Appointment Today! Get A Microsuction North London Appointment Today! Get A Microsuction Pinner Appointment Today! Get An Ear Clinic London Appointment Today! Get An Ear Wax Removal Appointment Today! Get Ear Wax Micro Suction Today! Get Ear Wax Treatment Today! Get Impacted Ear Wax Removal Today! Reserve An Evening Microsuction Appointment Today! Reserve Your Private Ear Wax Removal Appointment Today! Here is a list of our micro suction ear wax removal clinic locations. Click on the links below to get full details of each private earwax removal clinic location near you. How Can I Book A Microsuction Appointment? You can find a page with all London Micro Suction Clinics here. Many people have only ever experienced syringing by a nurse at their GP surgery. It is now more accurately known as irrigation, as the old stirrup syringe has been replaced by a regulated water pump with a specially adapted spray head. These irrigation pumps are based on the high pressure water pump dental flossers (for example, the Waterpik ® Ultra) that are so popular nowadays. However, using such high pressure water is not without its consequences. Possible complications of ear wax removal by irrigation are perforation of the ear drum, outer ear infection, and further impaction of the ear wax. The pumps used for ear irrigation are not particularly suited to continuous operation either, and they frequently break down. On top of that, many GP surgeries are withdrawing their irrigation services, because of the potential complications. Microsuction (also known as ear wax suction), which we use at the Earwax Removal Network, avoids these complications as the microsuction practitioner wears surgical loupes (special binocular microscopes) that magnify and illuminate the ear canal throughout the entire procedure and allow the ear wax to be accurately targeted. Alternatively, some of our practitioners may use an ear endoscope (a thin camera lens with a built in fibre optic light) with a small video screen to see where the wax is in your ear. Once the wax is located it is removed using a gentle medical suction pump that is safely used in medical procedures every day.